This 200-hp hot hatch is a favorite of many driving enthusiasts and car fanatics. The MK6 GTI has front-wheel drive and comes as a two-door or four-door, with a 6-speed manual or 6-speed DSG automatic transmission. The stock GTI with fast-shifting DSG transmission can sprint to 60 mph in 6.7 sec. With that, the GTI is one of the most fuel-efficient sports cars. What should you know before buying the MK6 GTI? Let's start from the engine. 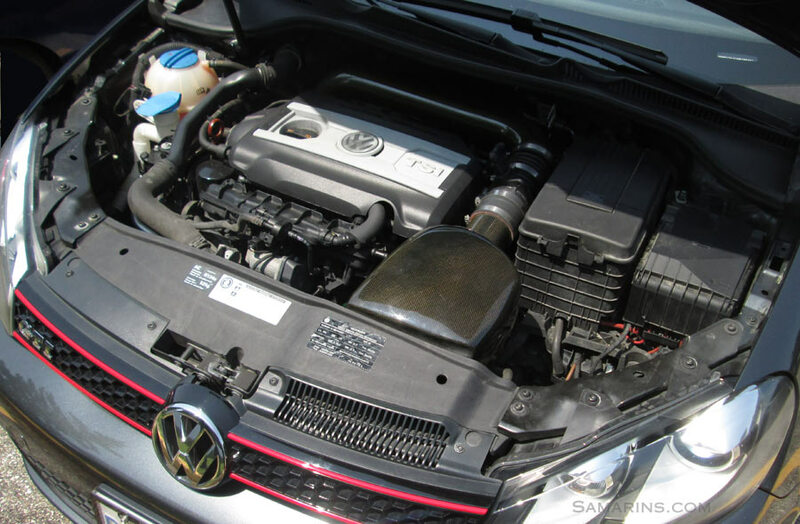 Engine: In the US and Canada, the MK6 GTI comes with only one motor: the famous 2.0L TSI, (CCTA Federal or CBFA California). It is an advanced dual-cam engine with direct injection and a turbocharger / intercooler. It has a cast-iron cylinder block with two balance shafts, one on each side of the block. Read also: Should you buy or avoid a turbocharged car? 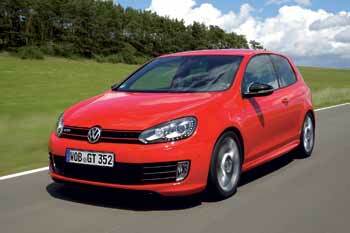 CCTA or CBFA: In the MK6 (2010-2014) GTI, the CBFA engine comes with Secondary Air Injection. The engine code is printed on the cylinder block behind the oil filter and on the sticker on the upper timing chain cover (CCT = CCTA, CBF = CBFA). You can also tell by the 5-th digit of the VIN number (V = CCTA, D = CBFA). Fuel Economy: The US EPA rates the 2010-2014 GTI manual at 21/31 MPG (11.2/7.6 L/100km) on premium gasoline. 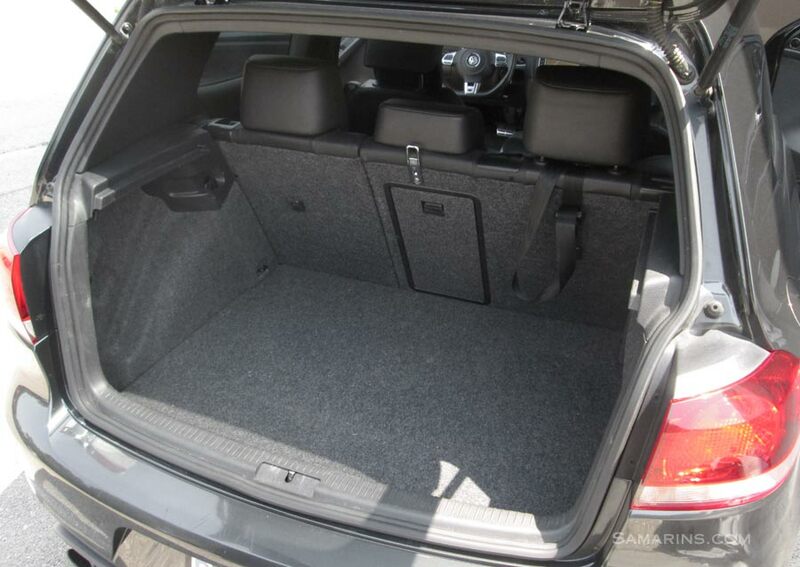 The 2010 and 2014 GTI auto are rated at 24/32 MPG. The 2011-2013 GTI auto gets 24/33 MPG or 9.8/7.1 L/100km. Mechanical: The GTI has MacPherson struts in the front and four-link independent setup in the rear suspension. Rear brakes are discs. Stability control (ESP) is standard. 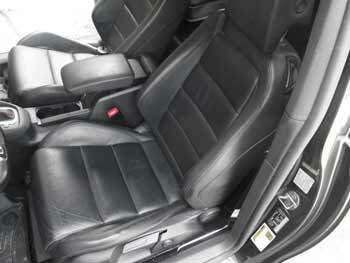 The steering is electrically-assisted. Timing belt or chain: The TSI engine has a maintenance-free timing (cam) gear chain. The oil pump and the two balance shaft are driven by separate chains, making it 3 chains in total. Handling and ride Despite its small size the GTI holds the road extremely well. The steering is quick and precise. The ride is firm, but comfortable. Overall, the GTI is a lot of fun to drive. Problems with an early version of the cam chain tensioner can cause a rattling noise at startup. In worse cases the chain may skip causing more damage. The tensioner must be replaced with an updated part. There is a way to check the tensioner part number by removing a small plug in the lower timing chain cover. Some owners advise replacing the tensioner with an updated part as a precaution. As with other direct injected engines with a turbocharger, the TSI is known for carbon buildup on the intake valves. This thread at golfmk6.com shows how it looks. The symptoms include sluggishness and misfire at the cold start. Some suggest using a special chemical sold in spray cans to clean the valves without taking the intake out, but it looks like it only works if there is a minimal carbon buildup or as a preventative measure. To clean the valves manually the intake has to come out, which involves a few hours of labor ($400-plus). There are plenty of Youtube videos on the subject. The crankcase ventilation system (commonly known as PCV) is another trouble spot. Crankcase ventilation system failures can cause variety of problems, including vacuum leaks, Check Engine light with lean and misfire codes (P0300, P0171), idle regulation codes, and even screeching / whistling noise coming from the engine cover that changes when the dipstick is removed. The same system is partially responsible for the pressure / vacuum inside the crankcase. Excessive pressure inside the crankcase will cause oil leaks from many places, including the rear main seal. For this reason, when dealing with multiple oil leaks, the engine ventilation system must be inspected. The oil separator (aka PCV or breather valve assembly) is installed on top of the valve cover and is easy to replace. The part is sold online for $69-$160. The water pump failures are not uncommon. A water pump may need to be replaced because of a failed thermostat, leaks or damage from the oil leaking on the pump. The water pump housing is made of plastic that tends to deteriorate over time. Anyone who worked on German cars knows what we mean. The water pump is sold online for $230-$360, but again, it takes a good chunk of time to replace, as it's located under the intake on the transmission side of the engine. The repair shop may charge $650-$1400 to replace the water pump. Other common problems include varietuy of coolant and oil leaks, Check Engine light, failing ignition coils and injectors. Maintenance: As with any other turbocharged engine, the 2.0L TSI is very sensitive to the lack of maintenance. The maintenance schedule on the VW Canada website shows 15,000 km oil change intervals. The US maintenance schedule shows 10,000 miles. In our opinion, oil changes must be done more frequently if you want your engine to last long. The oil quality is important too. The DSG oil and filter should also be changed more frequently to keep the transmission clean inside. It's also important to keep an eye on the coolant level, as low coolant can cause overheating.